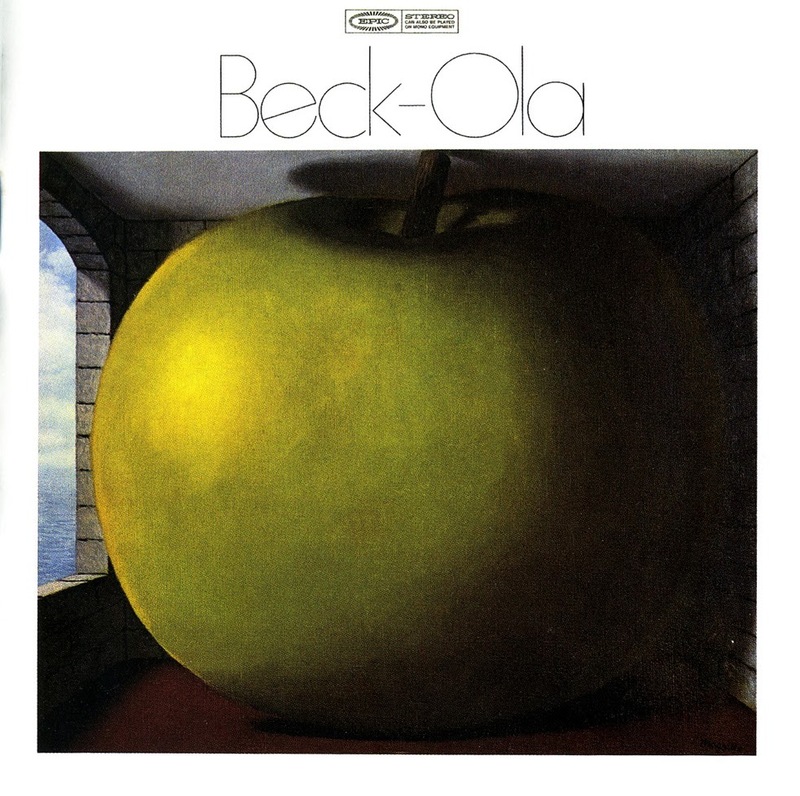 When it was originally released in June 1969, Beck-Ola, the Jeff Beck Group's second album, featured a famous sleeve note on its back cover: "Today, with all the hard competition in the music business, it's almost impossible to come up with anything totally original. So we haven't. However, this disc was made with the accent on heavy music. So sit back and listen and try and decide if you can find a small place in your heads for it." Beck was reacting to the success of peers and competitors like Cream and Led Zeppelin here, bands that had been all over the charts with a hard rock sound soon to be dubbed heavy metal, and indeed, his sound employs much the same brand of "heavy music" as theirs, with deliberate rhythms anchoring the beat, over which the guitar solos fiercely and the lead singer emotes. But he was also preparing listeners for the weakness of the material on an album that sounds somewhat thrown together. Two songs are rehauls of Elvis Presley standards ("All Shook Up" and "Jailhouse Rock") and one is an instrumental interlude contributed by pianist Nicky Hopkins, promoted from sideman to group member, with the rest being band-written songs that serve basically as platforms for Beck's improvisations. 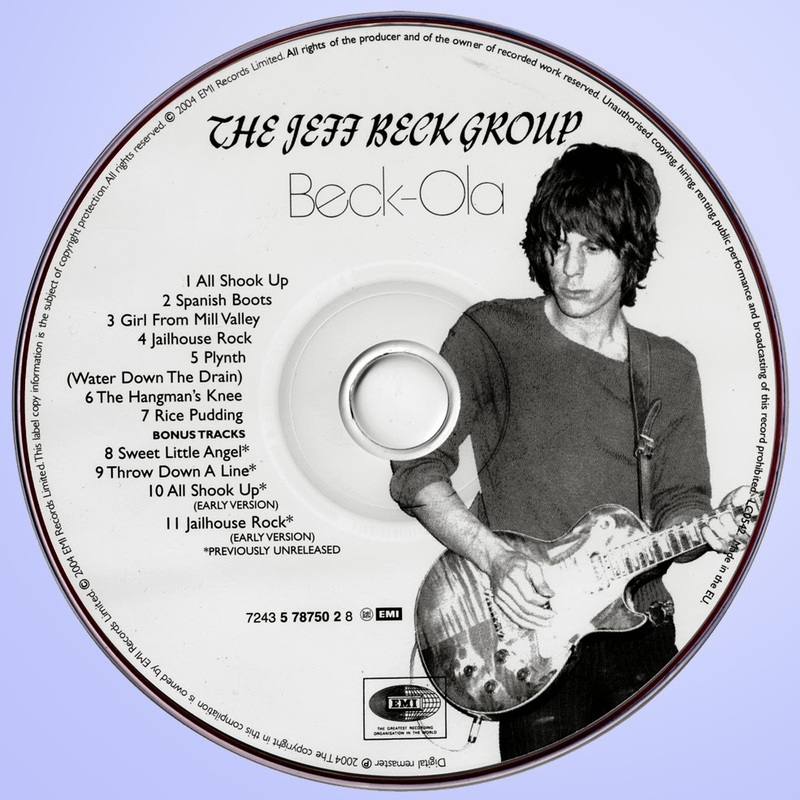 But that doesn't detract from the album's overall quality, due both to the guitar work and the distinctive vocals of Rod Stewart, and Beck-Ola easily could have been the album to establish the Jeff Beck Group as the equal of the other heavy bands of the day. Unfortunately, a series of misfortunes occurred. Beck canceled out of a scheduled appearance at Woodstock; he was in a car accident that sidelined him for over a year; and Stewart and bass player Ron Wood decamped to join Faces, breaking up the group. Nevertheless, Beck-Ola stands as a prime example of late-'60s British blues-rock and one of Beck's best records. Now here’s a record that, for all practical purposes, should not be this obscure. In fact, I’m often taken aback at how many Beau Brummels fans aren’t even aware that Ron Elliott, said group’s guitarist and songwriter, ever cut a record on his own. 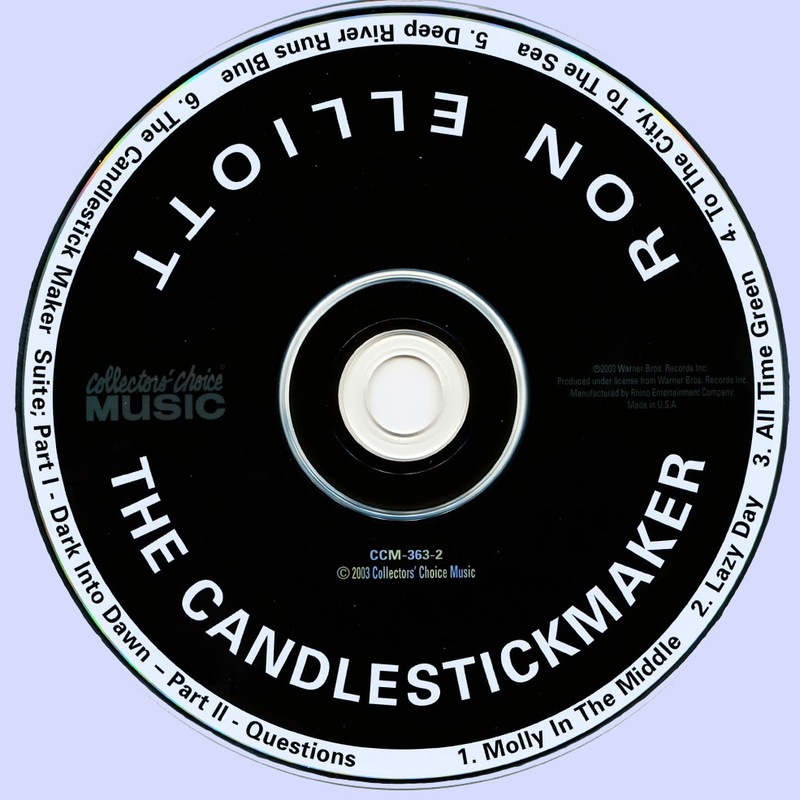 Fortunately, however, Collector’s Choice saw fit to remind the world a few years back and reissued 1970′s The Candlestickmaker, which would prove to be Elliott’s one and only record. The music here is beautiful. Mining a deep spiritual vein that was only hinted at in the last two Beau Brummels records (on 1968′s Triangle, in particular) Elliott’s vivid word craft and west coast roots are bolstered by the musicianship of such luminaries as Chris Ethridge, Bud Shank, Ry Cooder, and Mark McClure. Elliott’s voice is a marked contrast to Sal Valentino’s tremulous purr, boasting a rich depth that calls to mind that crown prince of Americana, John Stewart. Interestingly enough, this entire record makes me think of the dense, rocky wildernesses of the Pacific northwest. Maybe this has something to do with how the overall sound of the band is rather sparse, while managing to invoke a richly woven sound. Even the orchestral arrangements of Bob Thompson convey an organic and understated character. When a record only holds five songs, it seems ridiculous to pick highlights, but “All Time Green” and the gently flowing train song “Deep River Runs Blue” really are absolutely beautiful. Mark McClure’s sharp, spidery guitar lines on the former, while Ry Cooder’s distinctive slide work on the latter blends majestically with either Elliott or McClure’s burbling wah guitar. Meanwhile, Bud Shank’s flute marks the mellow jazz folk of “Lazy Day,” and Leon Russell’s subtle brass arrangements drive “To the City, To the Sea.” Each of these little touches make the songs both memorable and distinctive. The magnum opus here, however, is clearly the fifteen minute long title track. 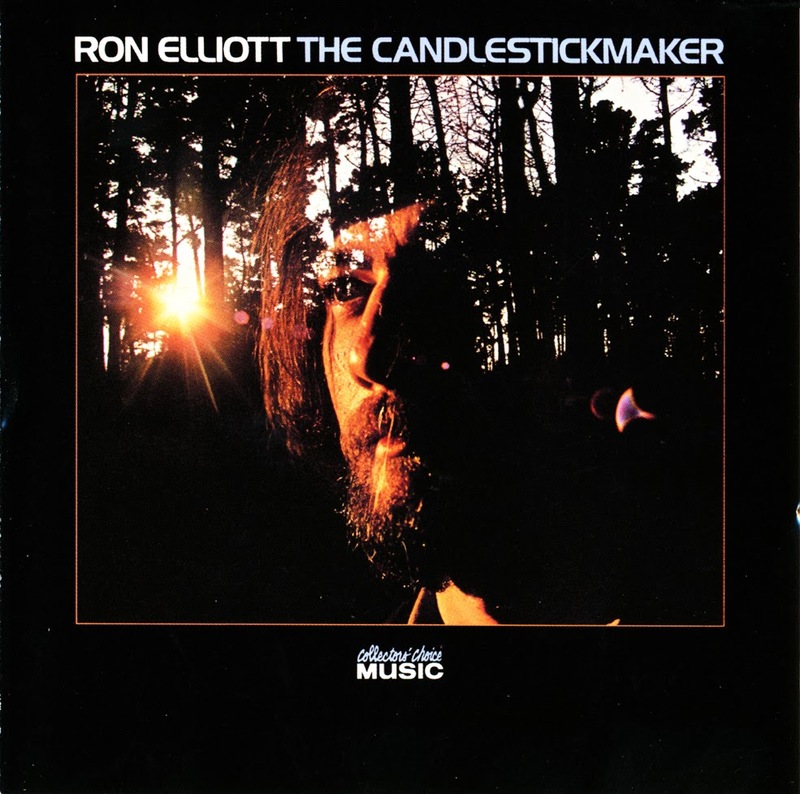 As Elliott suggests in Richie Unterberger’s liner notes, the song “has a healing quality to it.” The lyrics build on what seems to me to be a driving theme throughout The Candlestickmaker: man’s struggle to break through the cold iron landscape of modern capitalist society and rediscover a free, wild America. Arguably a common theme in the early 1970s United States, but rarely one so eloquently presented. The music never once falters: Ethridge’s bass runs warm and melodic, while McClure’s guitar craft truly sparkles as it trails around Elliott’s words. Indeed, McClure proves himself to be one of the greatest revelations, and his grace on his instrument draws me towards exploring his own work further.